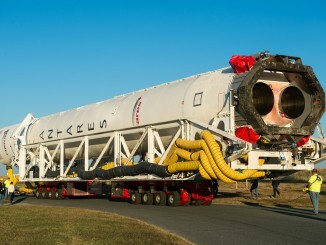 The first sign of failure during the doomed launch of an Orbital Sciences Corp. Antares rocket from Virginia came from the rocket’s first stage about 15 seconds after liftoff. 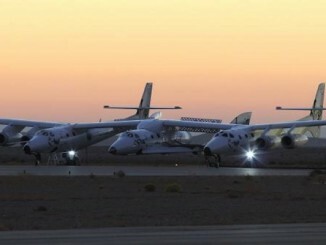 Virgin Galactic’s SpaceShipTwo rocket plane crashed during a powered test flight over California’s Mojave Desert on Friday, leaving one pilot dead and another seriously injured. 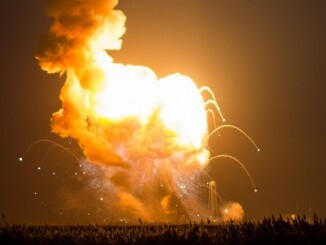 Initial inspections of the Antares rocket’s launch pad in Virginia revealed the facility escape major damage after sustaining nearly a direct hit from the booster as it fell to the ground in flames seconds after liftoff. 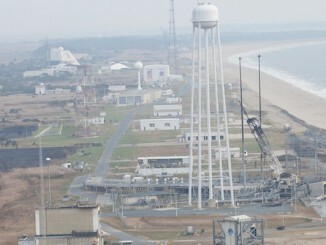 A day after an explosion that destroyed an Orbital Sciences Antares rocket carrying a space station cargo ship, officials said Wednesday they hope to zero in on the likely cause of the mishap within a week or so, based on a detailed review of telemetry, analysis of video and inspection of debris. 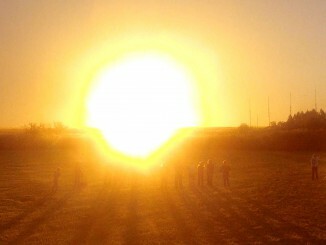 First, you see the rocket sputter, then pause suspended in mid-air and crash back to Earth in a blinding ball of flame. If you still have your wits, you brace for the blast wave. 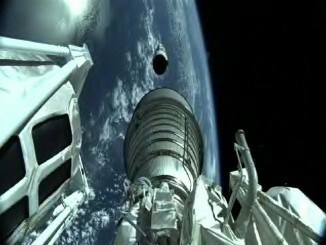 Video highlights of the 50th Atlas 5 flight. 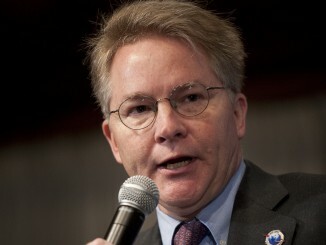 The United Launch Alliance rocket carried the eighth Global Positioning System (GPS 2F-8) satellite for the U.S. Air Force. Onboard video cameras captured critical events during the 50th Atlas 5 rocket launch, beaming back views in stunning clarity of staging and spacecraft separation. 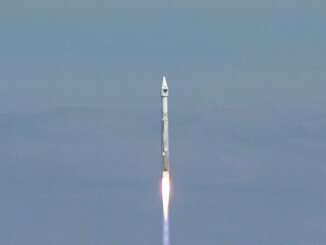 Launching for the 50th time, an Atlas 5 rocket flew a milestone mission Wednesday in deploying a Global Positioning System satellite for the worldwide utility. 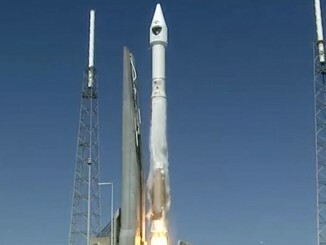 The 50th Atlas 5 rocket lifts off From Cape Canaveral carrying a GPS satellite. An Antares rocket explodes at Wallops Island moments after launch sending reporters and photographers at the press site running for cover.